Xi Jinping is heading to Africa this week, with stops in Senegal, Rwanda, South Africa and Mauritius. In South Africa, Xi will also attend the BRICS (Brazil, Russia, India, China and South Africa) summit with Michel Temer, Vladimir Putin, Narendra Modi and Cyril Ramaphosa. Why it matters: China’s emphasis on Africa as a cornerstone of its diplomacy remains strong. 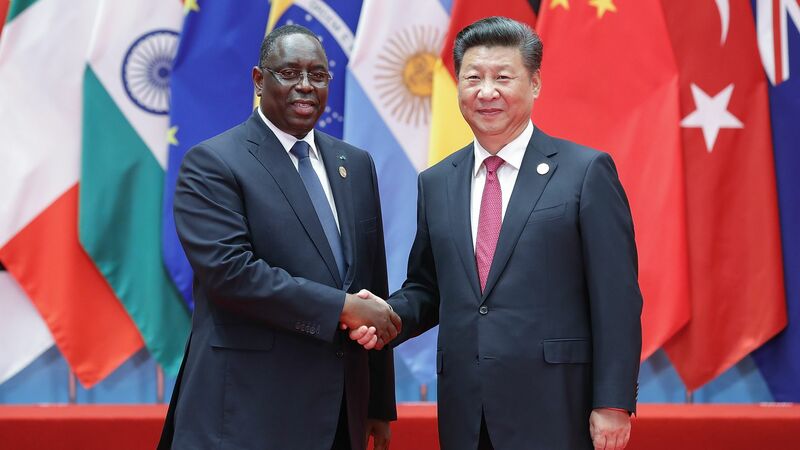 Chinese financing has supported a great deal of new African transportation infrastructure, including high-profile projects such as Kenya’s Standard Gauge Railway and the Addis–Djibouti Railway. Similar commitments will likely emerge during Xi’s visit. The numbers: From 2000 to 2016, China's annual loans to African governments and state-owned enterprises spiked from $121 million to $30 billion, leading to a cumulative $124.4 billion over 15 years. Meanwhile, given domestic struggles to fund Trump’s $1.5 trillion plan for turning around the United States' "third-world” infrastructure, the prospects of U.S. funding for African infrastructure remain remote. Chinese foreign direct investment (FDI) stock, at $40 billion in 2016, is still behind the United States' $57.5 billion, but Chinese investment continues to grow and may eventually overtake that of the United States. While mining makes up over half of U.S. FDI stock in Africa, manufacturing accounts for a significant part of China’s portfolio, and African countries and China will continue to prioritize investing in special economic zones for offshore Chinese factories. Despite some recent decline, China's total trade value with Africa, $128 billion in 2016, still exceeds the United States' $48 billion. Now that President Trump is hitting China with $200 billion in tariffs, Xi might see his visit as an opportunity for African markets to absorb more Chinese products. What’s next: Xi’s Africa tour is a prelude to The Forum on China–Africa Cooperation, which the heads of state of China and nearly all 54 African countries have held every three years since 2000. This year's forum will be held September 2–4 in Beijing. Janet Eom is a research associate at the China–Africa Research Initiative at the Johns Hopkins University School of Advanced International Studies.